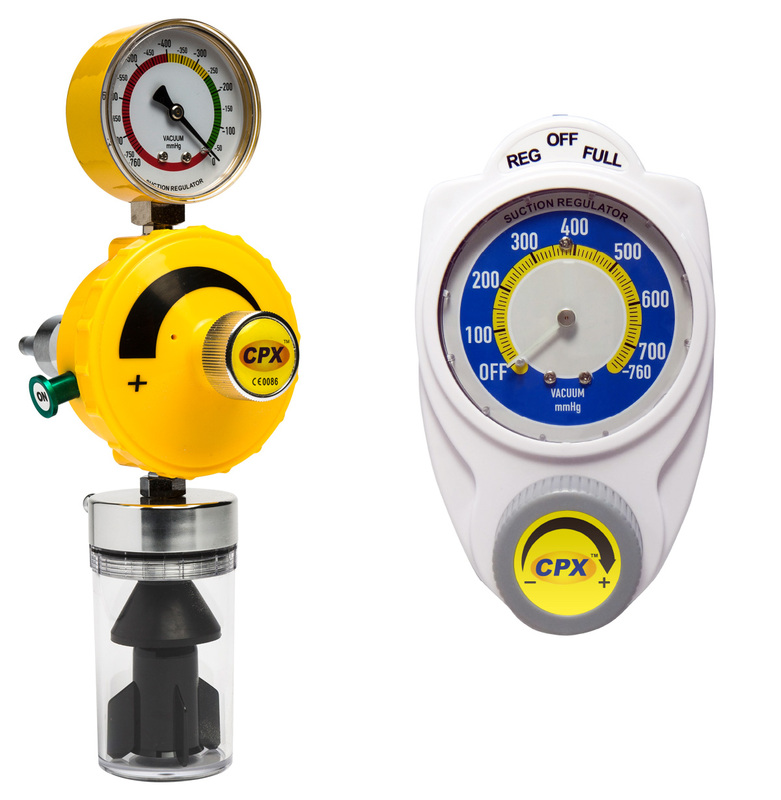 CPX suction regulator provides reliable, safe suction in continuous flow suction procedures. It is used to remove substances from the patient`s body during surgical procedures, the vacuum regulator should be connected to a wall source of vacuum using a direct probe or through a rail system. The unit is specifically designed to provide high flow rates with minimal restriction in the ward and operating room which require high level suction use for patients. The standard inlet connection is compatible with the CPX BS Gas outlet, however other inlet connections are available dependant on the hospital requirement. Manufactured in the UK of durable break resistant, fire retardant polymer. The compact design incorporates a clear 63mm Ø integral vacuum gauge is built inside the regulator body. Analog Display: ± 5% of Full Scale deflection. Metal back plate making the unit strong and reliable reducing repair costs. Quick mode selector toggle switch for REG/OFF/FULL vacuum. The large control knob comes with three (3) easy-to-read settings making vacuum adjustments simple, even in emergency situations. 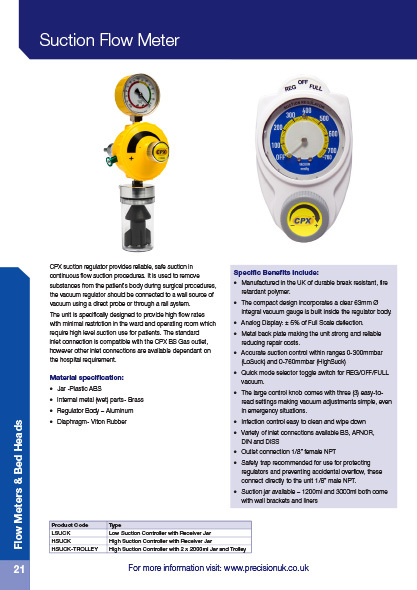 Safety trap recommended for use for protecting regulators and preventing accidental overflow, these connect directly to the unit 1/8” male NPT.